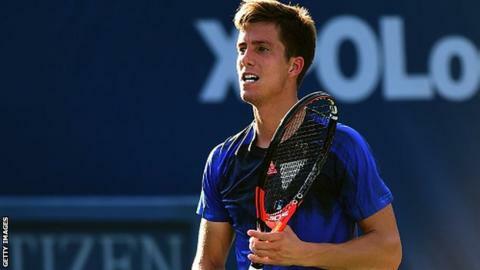 British number two Aljaz Bedene is out of the China Open after being beaten by Czech Lukas Rosol in the first round. Bedene cruised through the first set and had break points in the second, but Rosol went on to win 1-6 7-6 (8-6) 6-3. The result prevents Slovenia-born Bedene from breaking into the top 50, having risen to a career-high 54. Meanwhile, Tomas Berdych captured his 11th career ATP title by beating Spain's Guillermo Garcia-Lopez in the rain-delayed Shenzhen Open final. Held over until Monday because of heavy rain that drenched parts of southern China over the weekend, Berdych maintained his composure to win in straight sets 6-3 7-6 (9-7). Briton Johanna Konta, 24, has moved up to a career-high WTA ranking of 49 following her recent run of 21 wins in 22 matches until her quarter-final defeat to Venus Williams at the Wuhan Open last week. She has now gone above Heather Watson, who is at 62 in the rankings.